In the newly released Dr Watson Book 3, A Study in Murder, the poor doctor is incarcerated in the most feared POW camp in Germany. During his incarceration, he is asked to contribute to the camp magazine. During the process of writing the book, I decided that snippets of the story he creates should be interspersed throughout the novel. But which Holmes story to choose? Even casual fans are familiar with the Sherlock canon, so I decided against incorporating one of the 56 oft-told tales. I could have created a pastiche in the style of Conan Doyle, but I have always tried to avoid that pitfall (it is not as easy as it seems at first glance). My Watson books are, after all, styled after the simpler third-person narration of His Last Bow. In the end I decided to look beyond the canon and at the short stories which function as Apocrypha to the main body of work, where an unnamed ” amateur reasoner of some celebrity” appears. 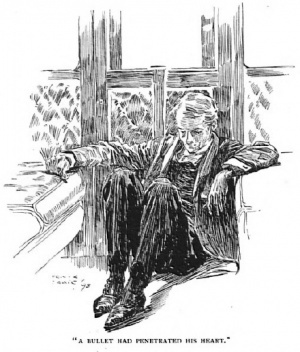 The stories are The Man With The Watches and The Lost Special, both of which appeared in The Strand Magazine and are sometimes included in collections of Sherlock Holmes stories compiled outside the UK (most French compendia include them). If I were to adapt one of those, I thought, using as much of Conan Doyle’s language as possible, I might have something that was only part pastiche – a New/Old Sherlock Holmes tale, unfamiliar to most readers. 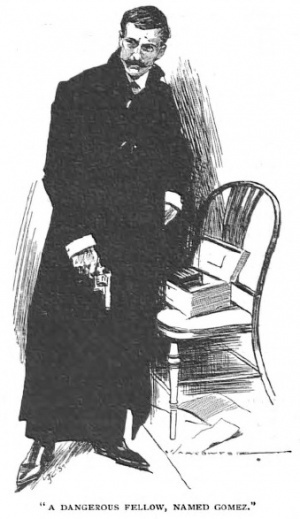 Illustration by Frank Craig for The Man With The Watches from The Strand Magazine. One of the first things I had to do was change the date, for The Final Problem, in which Holmes goes over the Reichenbach Falls with Moriarty, was set in 1891. This was the beginning of the ‘Great Hiatus’, the years when Watson thought Holmes dead. I also borrowed some lines from other Sherlock stories to set the scene. 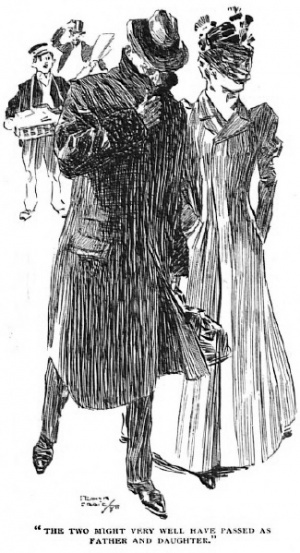 Illustration for The Man With The Watches by Frank Craig. That resultant brown study, a cloud of melancholia that wrapped itself around him like a winter fog, persisted for some weeks, to the point where I feared he might reach for solace once more in the seven per cent solution. I sought permission – freely granted – from my wife to move back to our rooms in Baker Street that I might keep an eye on him until the black dog was driven away. And sure enough, as the thermometer rose on a certain bright Monday morning, Holmes stirred himself from his regular position, curled on the sofa with a newspaper, and began to pace the floor of our Baker Street lodgings, a practice I knew sometimes drove Mrs Hudson on the floor below us to distraction, for it could last many hours. The visitor then proceeds to narrate the story (essentially a ‘locked room’ mystery set on a train) and the narrative follows Arthur Conan Doyle as closely as I could manage, using as many of his own words as possible. It is hoped my publishers Simon & Schuster will put the entire thing online as an e-story sometime this year. A Study in Murder is out in hardback now. This entry was posted in Books and tagged Arthur Conan Doyle, Dr Watson, Sherlock Holmes on January 5, 2015 by Robert Ryan. Can hardly wait for Watson #3, Rob. The previous two have been new jewels on the Sherlockian canon. Yes, I am being fulsome (!) but not at all untrue.